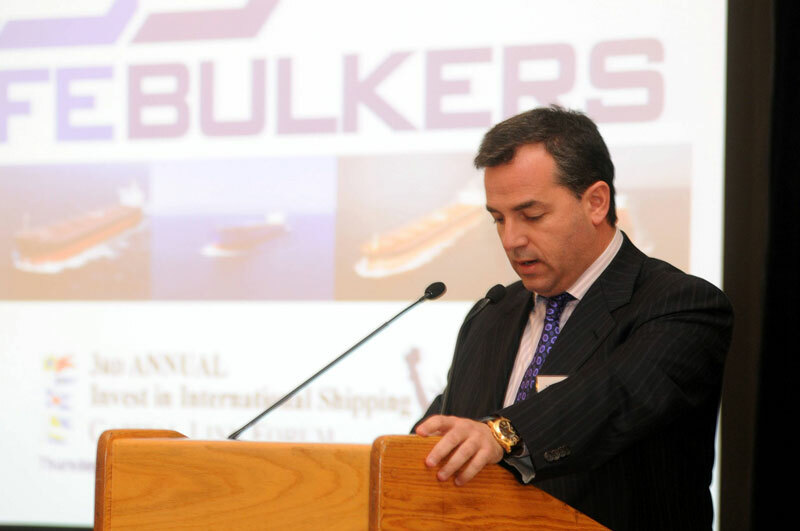 Safe Bulkers, Inc., an international provider of marine drybulk transportation services, announced its unaudited financial results for the three and twelve month period ended December 31, 2016. Net revenues for the fourth quarter of 2016 increased by 6% to $31.7 million from $29.9 million during the same period in 2015. Net loss for the fourth quarter of 2016 was $4.6 million as compared to $29.9 million, during the same period in 2015. Adjusted net loss1 for the fourth quarter of 2016 was $4.1 million as compared to adjusted net loss of $7.7 million, during the same period in 2015. EBITDA2 for the fourth quarter of 2016 amounted to earnings of $13.1 million as compared to a loss of $13.1 million during the same period in 2015. Adjusted EBITDA3 for the fourth quarter of 2016 increased by 49% to $13.6 million from $9.1 million during the same period in 2015. Loss per share4 and adjusted loss per share4 for the fourth quarter of 2016 were $0.09 and $0.09 respectively, calculated on a weighted average number of 87,364,672 shares, as compared to loss per share of $0.40 and adjusted loss per share of $0.13 during the same period in 2015, calculated on a weighted average number of 83,504,266 shares. Net revenues for the twelve months of 2016 decreased by 14% to $109.8 million as compared to $127.3 million during the same period in 2015. Net loss for the twelve months of 2016 was $56.0 million as compared to $47.9 million during the same period in 2015. Adjusted net loss for the twelve months of 2016 was $36.2 million as compared to adjusted net loss of $22.4 million, during the same period in 2015. EBITDA for the twelve months of 2016 increased by 16% to $15.6 million as compared to $13.5 million during the same period in 2015. Adjusted EBITDA for the twelve months of 2016 decreased by 9% to $35.5 million as compared to $39.1 million during the same period in 2015. Loss per share and adjusted loss per share for the twelve months of 2016 were $0.83 and $0.59, respectively, calculated on a weighted average number of 84,526,411 shares, as compared to loss per share4 of $0.74 and adjusted loss per share of $0.44 during the same period in 2015, calculated on a weighted average number of 83,479,636 shares. In December 2016, the Company concluded a public offering (the “Public Offering”) of 15,640,000 shares of common stock, par value $0.001 per share, at a price of $1.10 per share, which included 2,040,000 shares of common stock sold pursuant to the full exercise of the underwriters’ overallotment option. The aggregate gross proceeds to the Company from the Public Offering, including the sale of the overallotment shares, before the underwriting discount and other offering expenses, were approximately $17.2 million providing the Company with additional liquidity. An entity owned and controlled by our Chief Executive Officer and Chairman of our Board of Directors, Polys Hajioannou, purchased 2,727,272 shares of common stock in the Public Offering. In January 2017, the Company took delivery of Pedhoulas Rose (Hull No. 1146), a 82,000 dwt, newbuild Kamsarmax class vessel. The delivery installment of $17.4 million was financed by a pre-agreed sale and leaseback arrangement of $24.8 million, which enhanced our liquidity. The sale and leaseback arrangement will be recorded as a financing transaction, and therefore, the vessel’s book value will be recorded under fixed assets and will be depreciated over time, and the sale proceeds will be recorded as debt on the Company’s balance sheet. The lease period is 10 years, based on a net daily bareboat charter rate of $6,500, with a purchase obligation on the Company at the end of the 10th year at a price of $14.5 million. The arrangement also includes purchase options in favor of the Company after the second year of the bareboat charter, at annual intervals and at predetermined purchase prices. In January 2017, the Company took delivery of Hull No. 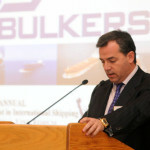 1551, a 81,600 dwt, newbuild Kamsarmax class vessel which was subsequently sold to our Chief Executive Officer and Chairman of our Board of Directors, Polys Hajioannou, pursuant to a previously disclosed agreement which had been evaluated and approved by a Special Committee of the Company’s Board of Directors, which committee was wholly comprised of independent members of the Board and advised by independent counsel. The commission of 1% of the contract price payable to the related party management company with respect to the newbuild, has been waived in Company’s favor. As of February 17, 2017, our operational fleet comprised of 38 drybulk vessels with an average age of 6.6 years and an aggregate carrying capacity of 3,421,800 million dwt. The fleet consists of 14 Panamax class vessels, nine Kamsarmax class vessels, 12 post- Panamax class vessels and three Capesize class vessels, all built 2003 onwards. As of February 17, 2017, we had contracted to acquire our last drybulk newbuild Kamsarmax class vessel, scheduled for delivery in 2018, upon delivery of which and assuming we do not acquire any additional vessels or dispose of any of our vessels, our fleet will comprise of 39 vessels, 11 of which will be eco-design vessels, having an aggregate carrying capacity of 3.5 million dwt.